Temperatures are dropping; the days are getting colder and the nights longer. You might not fully welcome the chill but it does give you an excuse to curl up on the couch with some hot coco until the sun decides to show its face again. The cold isn’t all bad though, particularly if you suffer from Varicose Veins. In fact, because of the compression stockings that you have to wear following treatment, now is the most opportune time to pursue treatment. That said, why not treat yourself early this year and turn the cold into a friend. If you have large, bulging, blue veins on your legs then you can be pretty certain they’re of the varicose veins kind. They manifest after vein walls become enlarge the valves inside it can’t perform properly, thus allowing blood to flow back the way it came and pool inside it. The preferred method of treatment at The Private Clinic of Harley Street for these kinds of unsightly veins is Endovenous Laser Ablation (EVLA) because it has a success rate that’s over 95%. This minimally invasive procedure uses ultrasound to find the problematic vein to then collapse it using laser energy. They also offer Phlebectomy and Sclerotherapy treatments since they can be more suitable for some patients. In the first instance a scalpel or fine needle is used to physically remove the vein. During Sclerotherapy on the other hand, foam and liquid are injected into the vein, irritating the lining of the vein’s walls, thus causing them to swell and shut. Whichever treatment you and your surgeon decide on, it is recommended that you wear compression stockings following it. They’re tightest at the ankle, loosening progressively, squeezing your leg upwards to help increase blood circulation. They’re an excellent way to reduce swelling, discomfort and pain. If you undergo Sclerotherapy, the stockings also act to keep the walls of blood vessels in close contact, which helps your body break them down. In this case, not wearing them might result in the blood flowing back through the veins, making the treatment much less effective. Even though stockings come in different sizes and levels of pressure, it’s important that they fit just right in order to be effective. Your surgeon will be able to recommend which ones will be best suited for you and tell you how long you’ll have to keep them on. Since they’re long and tight, compression garments can get a little bit uncomfortable during warm weather, so it makes sense to wear them during the winter, when you’re less likely to overheat. What’s more, they can be easily hidden under winter clothing, while any swelling or bruising will be long gone by the time the sun becomes a permanent feature in the skies once again. 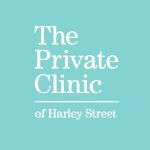 They are one of the most recognised Varicose Vein treatment centres in the UK and their surgeons are experts in their field. They’ve managed to carry out the highest number of EVLA treatments in the UK so you can be rest assured that their surgeons know exactly what they’re doing. Why winter is the best time for treatment.